Screenshot of image search for Facebook’s “Like” button. 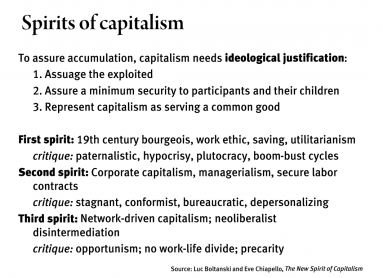 To extend the life span of neoliberalism, it needs ideological justification. Facebook explicitly wants to be that. It sustains a subject that is not inauthentic and opportunistic in its perpetual networking but liberated to be and do more. Quantify yourself, increase that quantity. 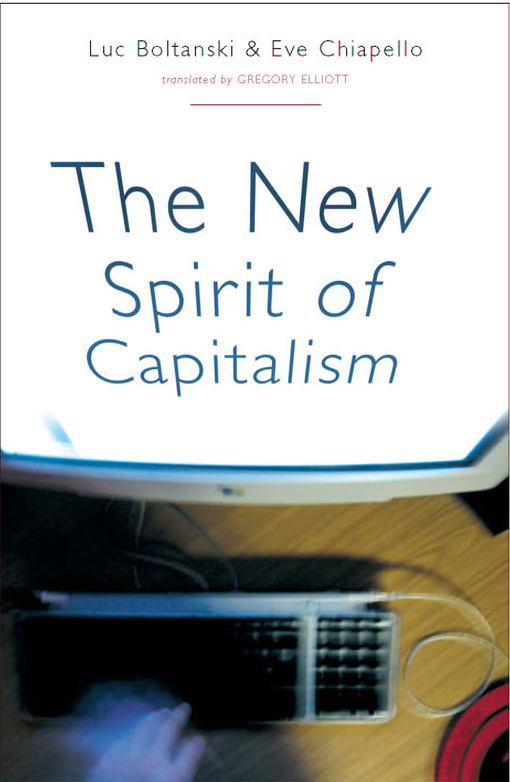 The new spirit drew its rationale from the figure of the network, bringing more of social life into capitalism’s functioning as a way to redeem it. Bureaucracy and hierarchy gave way to collaboration among free agents, and sociality became a more integral, overt aspect of capitalist production. This explicit socialization of labor makes it less alienating, at least in theory. Economic security is traded for personal autonomy. 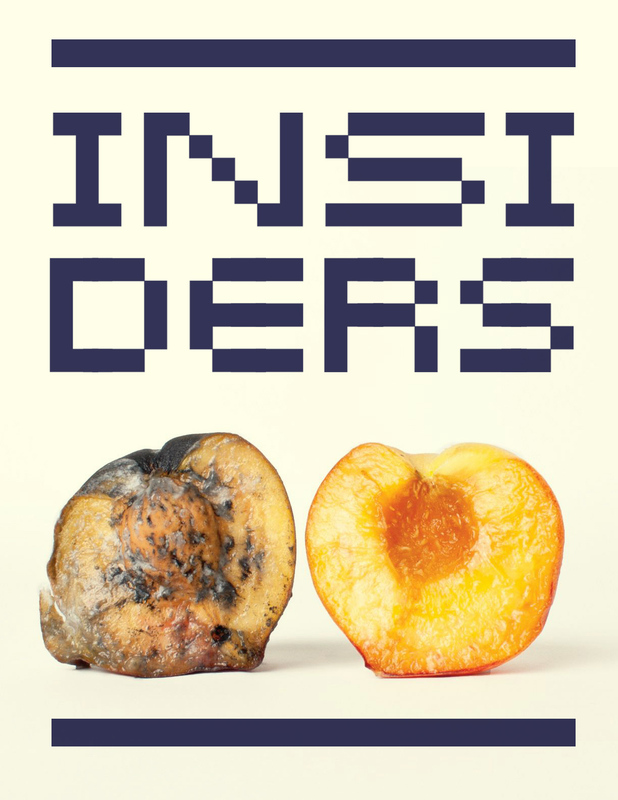 Under such conditions, producers and products become less easily distinguishable. “In a connexionist world the product … is transformed by the relation.” In fact the relation — a mood, a trait, status signifiers — becomes as much the commodity as any particular good. Work becomes so-called “immaterial labor” — manufacturing and distributing social meanings, affects. Building identity is overtly productive economically. And since value is conferred by one’s network position, working on that position becomes a necessary productive activity. 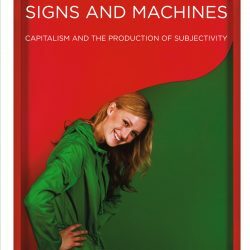 The pressure of mobilizing the self as an economic resource, as well as the precarity involved with that, makes networked capitalism vulnerable to reinvigorated critique. To forestall critiques, neoliberalism needs a new justification. Boltanski and Chiapello call this “the projective city” — an ideology for a “connexionist world” that they extrapolate from 1990s management literature. By its lights, society’s organizational basis is the project: any sort of temporary but focused group task. Not limited to the traditional workplace, projects extend through everyday life, representing for workers the means to both economic opportunity and personal fulfillment. 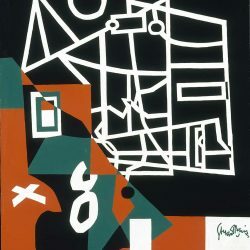 In the projective city, “the extension of the network is life itself.” To extend networks, one must evince activity — the projective city’s basis of value (as opposed to, say, Marxist “socially necessary labor time.”) Activity comprises whatever someone can think to do that others will pay attention to or get involved in. The more “activity” one can claim responsibility for, the more connected one becomes and the more projects one can line up. Since literally anything one does can become “activity,” self-fashioning becomes inseparable from professional development. Employers must evaluate people not in terms of specific skills but their total social package. This emphasis on social interaction is meant to put a positive spin on the eroding distinction between work and nonwork, the personal and professional. That an employee’s duties necessarily exceed any job description and must encompass their whole personality is presented as a good thing: one can be what one does. “Connexionist human beings are owners of themselves,” the authors note, suggesting such reification can be represented as fulfillment, engagement. Invest in the start-up of you! By contrast, the “little people” of the projective city are rigid, intolerant, overly attached to status and security; sycophantic rather than charming. Because of their reticence and passivity, they end up isolated and are routinely stripped of their useful information by more agile network participants. The projective city, Boltanski and Chiapello note, “borrows some of the language with which it describes itself from the domestic world,” giving “mechanisms (friendship, affinities, dinners) … quite a different character.” That presciently describes Facebook, whose “friending” empties the traditional idea of friendship to suit the ideal of connectivity. 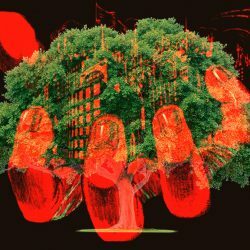 What Facebook offers in general is the projective city network ideology as a concrete way of conducting everyday life, exporting management techniques developed for corporate streamlining to its nearly billion users. It caters to the fantasy that connections can only be helpful; they can’t compromise or limit you. Whether Facebook actually helps you connect to more people or expands your personal social capital is secondary. Its key product is the network ideology itself. It wants to be the justification for networked capitalism. In Zuckerberg’s IPO filing letter he declares, “Facebook was not originally created to be a company. 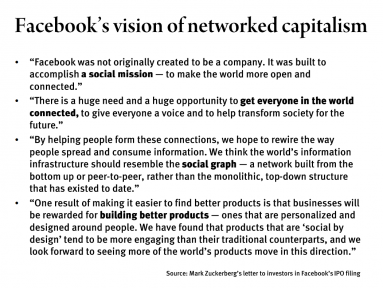 It was built to accomplish a social mission — to make the world more open and connected.” To achieve that mission, he wants Facebook to become part of “the world’s information infrastructure,” namely the social graph — “a network built from the bottom up or peer-to-peer, rather than the monolithic, top-down structure that has existed.” This nonhierarchical build-out reiterates the projective city’s idea of liberating people from bureaucracy, allowing them (i.e. forcing them) to more fully capitalize on their full personality. You aren’t slotted into an org chart; Facebook gives you a chance to build your own network. Then the activity of your Facebook account becomes an index of your social productivity. As in the projective city, connection is valuable in and of itself on Facebook; stability, security, and privacy are not. Facebook adopts the projective-city emphasis on activity, translating it into “sharing.” Facebook also seizes on ideals of interpersonal flexibility, which it renders as “radical transparency” — the ability to accommodate drama in the name of more sharing. As Zuckerberg explains, “People sharing more … creates a more open culture and leads to a better understanding of the lives and perspectives of others. We believe that this creates a greater number of stronger relationships between people, and that it helps people get exposed to a greater number of diverse perspectives.” The implication is that each individual has the capability to add value through their unique perspective. Given Facebook’s capacities, you incur opportunity costs if you don’t. You hurt your personal brand equity. The “streamlined people” of the projective city are those Facebook users who can make an effective profile, build large followings and develop “reputational capital.” Losers are the nonparticipants, parsimonious about sharing, worried about embarrassment or seeming narcissistic. They don’t grasp the network’s productive purpose. These are followers who aren’t followed, the social graph’s outliers. Facebook’s “information infrastructure” serves as fixed capital, an economic resource necessary for initiating projects. Its data pool helps companies craft more compelling commodities: “As people share more, they have access to more opinions from the people they trust about the products and services they use,” Zuckerberg writes, which leads to better goods. Products, he says, will eventually become “social by design” — that is, they won’t only be more seductive, but sociality itself will be the product. The work product is users’ social relations, and Facebook ends up with a proprietary interest in its users’ identities. Since it seems to monopolize “activity,” now a key economic resource for the personal brand, Facebook can force structural adjustments in users’ personalities with respect to privacy and authenticity. The Hacker Way appropriates coders’ values to justify a connexionist emphasis on activity, flexibility, tolerance. Employees are prompted to continually experiment, with the company harvesting value after the fact. This is how so-called immaterial laboring works among Facebook’s users as well. Our social activity is captured, its value sorted out later: This amounts to time-shifted exploitation, which goes down a lot easier. The Hacker Way of embracing the provisional over the finished is also a model for the self. On Facebook, we are perpetually in beta. We don’t reveal a pre-existing self but build ourselves out in code — not just computer code but Baudrillard’s consumerist code, the signs we take for identity’s building blocks. Thus we become streamlined people in Facebook’s projective city, performing “free labor” in exchange for counting stats on our social life and far more customized commodities — if we can afford them. That streamlined mode of subjectivity must fend off a host of problems that threaten a network society’s ideological legitimacy: Widespread opportunism, generalized mistrust in a society of self-promoters, deliberately fostered information asymmetries, coordination problems among narcissists, exclusion, secretive networks, the fact that “some people’s immobility is necessary for other people’s mobility” and that flexibility may merely be vulnerability to exploitation. Facebook’s basic functionality addresses some of these issues: It’s quasi-democratic (anyone can get a profile) and ostensibly more transparent (there’s an accessible record of who’s connected to who). Facebook permits asynchronous engagement, which theoretically helps cure coordination problems on potential “projects.” And it supplies a basis for quantifying reputational capital that makes it seem more fair and objective. But beyond that, the reformulization of subjectivity is key. 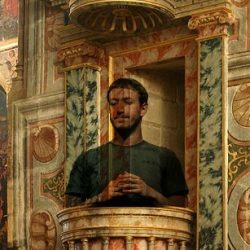 Facebook must naturalize what amounts to a post-authentic sense of self that won’t recoil at the self-branding, lateral surveillance, opportunism and self-promotion that comes with network organization. In the projective city, Boltanski and Chiapello suggest, “the question of authenticity can no longer be posed.” To function, Facebook must realize that possibility. So first, the old ideal of authenticity as a consistent, unified self must be broken down. Authenticity has served as a fulcrum for critique in consumerist society, presenting a limit on encroaching commodification: things were “genuine” because they could not become products, or were “private” because they weren’t expected to contribute to the valorization of goods. Capitalism responded by trying to sell authenticity as a product. Incessant marketing efforts (aided by various postmodern ideologists) helped castigate uncommodified “authenticity” as hypocritical, untenable, elitist, or essentialist. These rhetorical onslaughts and the flood of “genuine” products onto the market provoked an intense anxiety about what is really “real,” culminating in the past decade’s debates about things like hipsterism. Social-media data collection, though, makes the illusion of a unified self hard to sustain. By imposing a single persistent identity, social media inevitably confront people with their inconsistencies. Yet one can’t abstain from Facebook without suffering growing economic consequences. What emerges from this pressure is social media’s tendency to both instantiate and discredit authenticity. They validate the quest for it while dismissing the possibility that you’ll ever arrive at it. The self-directed consumers who shop to express intrinsic inner being is supplanted by the well-connected, autoconfessional self who never pauses in disclosing information and thus runs ahead of any need to self-impose consistency. Personal expression’s not limited to the true self. On social media, the process is what’s authentic (activity), not the end product of it (the self). Identity is not fixed but understood as a stream of data. Doing what you want, and more of it, is more authentic than being consistent — but only if what you’re doing is observable. Otherwise it isn’t activity; it doesn’t contribute. Being true to yourself is a private matter and thus irrelevant. Given social-media information density, it makes little sense to hold on to an idea of interiority as sincerity. Instead our data trail can be processed by outside parties and sold back to us as self-revelation. Our filters can be who we are, a “data self” made ontologically secure by the amount of information collected on it. In exchange for the old sanctities of independence, uniqueness, security, and integrity we gain the pleasures of influence, access, and limitless self-possibility. We get to consume more than ever, free of the supposed guilt that comes from consuming the wrong stuff or selling out. When conformity was regarded as a grave threat, seeking proofs of uniqueness was imperative. Now it’s a given, guaranteed by how much data is collected on us. By letting Facebook capture and process everything, we can generate better and weirder selves than what our memory could have given us, enhanced by commentary from our connections. Even feedback from recommendation engines and data-driven micromarketing can serve self-defining and self-aggrandizing purposes in this context. Social media gives us more information about ourselves than we can process, so any schematization of it seems to add to self-knowledge rather than limit it, broadening our identity repertoire. Facebook Timeline, for instance, by imposing a template on personal data, epitomizes the way social media can standardize users while also engaging them in their specific productive capabilities. 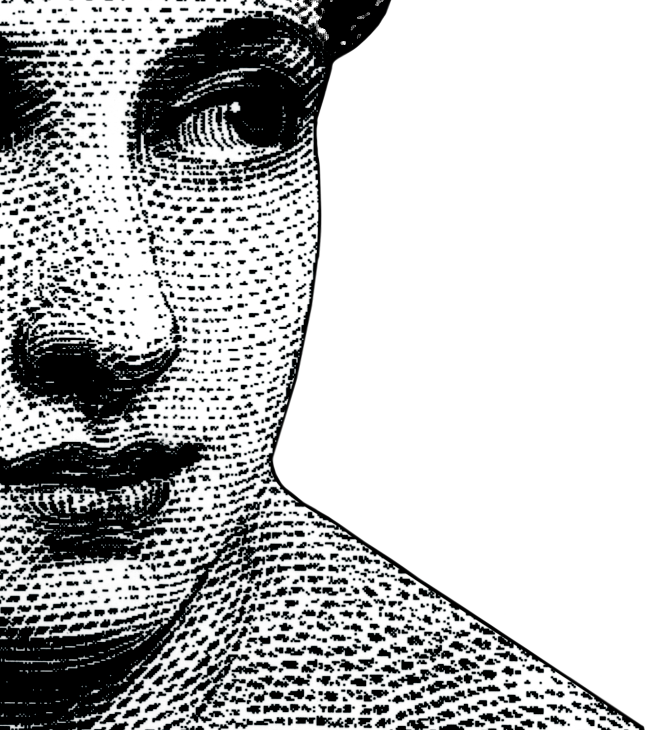 We can generate a infographic of the self so compelling that we can comfortably overlook its formulaic nature. So real selves — those influential in networks — emerge only through this information processing (sharing, being shared, having recommendations automated, being processed by algorithms, and so on). The data self coalesces in social media’s mircoaffirmations: we are matched with people who can affirm us, we see a reflection of ourselves in the data that makes us feel recognized, we are told what to want in a way that assures us we will be doing what is right and normal. What threatens the data self is not inauthenticity but lack of access, a disruption of the information flow. If the sharing process is disrupted, we are left with the underlying terror that there might be something crucial about our lives that can’t be expressed in data. The true existential threat is not that our identity will be exposed as fake, but that endless sharing of it will make it feel increasingly inexpressible. Key things might seem to escape our attempts to tell all. But given Facebook’s overlay on social being — if we are confident about the universality of Facebook — it becomes impossible to feel that something meaningful could also be unsharable. We are only what we share. Activity only means something to us because we know we can share it. Is this omnipresent reflexivity a problem? It may be that such self-documentation doesn’t alienate us from some alternate “genuine” experience. The data self takes that for granted. But this documentation is not autonomous either. The ideological dispositions that social-media companies have built into their platforms — say, the naturalness of atomized opportunism in neoliberalism — get built into ourselves. As much as we may come to see our lives as documentaries we’re always in the process of making, we are still ultimately reliant on someone else’s storyboard. The loud salvation rhetoric of the entrepreneur drowns out other valuable perspectives about labor, initiative, and enterprise.